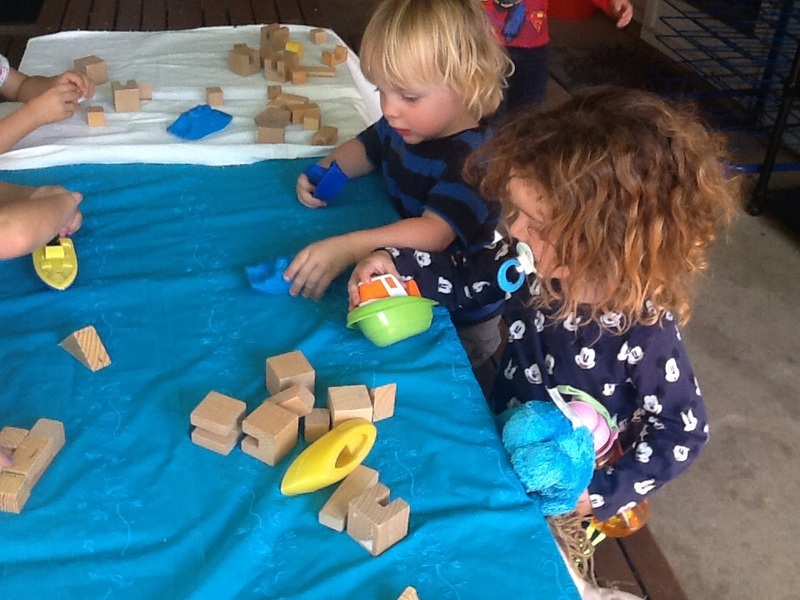 With play dough, young children express their ideas through art and make-believe play. 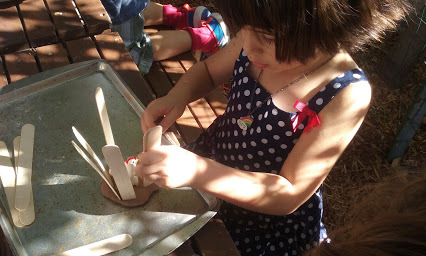 At the same time, they learn symbolic thinking by pretending that the play dough is something else (“That thing with the antlers is a moose”). 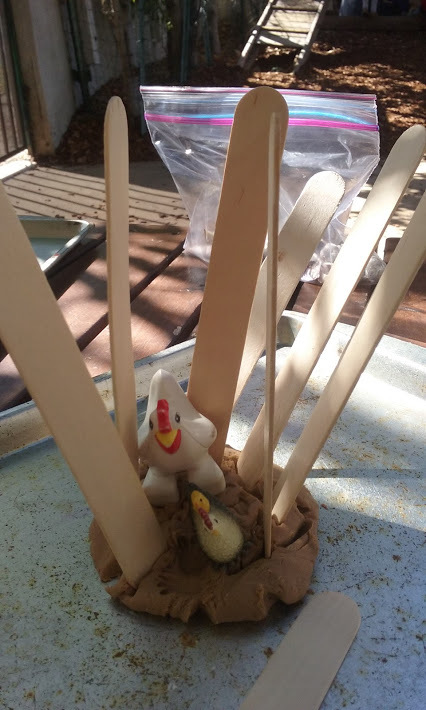 For this activity, we created chicken coops, using craft sticks and play dough. 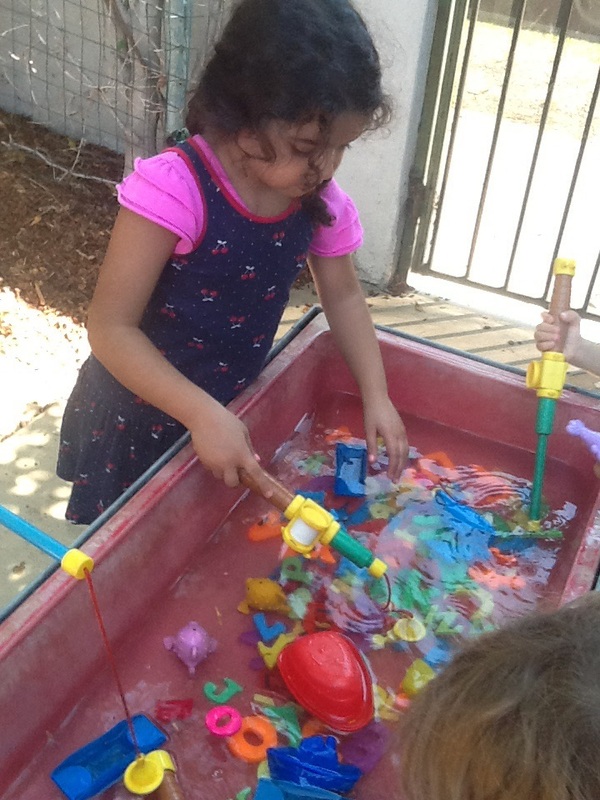 This enabled your little one to connect with the main character of the Little Red Hen! 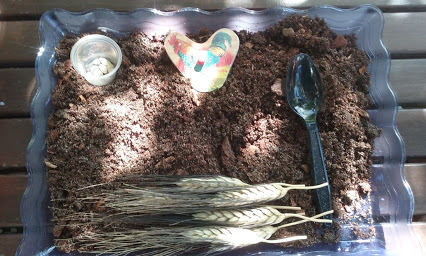 No Little Red Hen unit would be complete without a section on wheat! 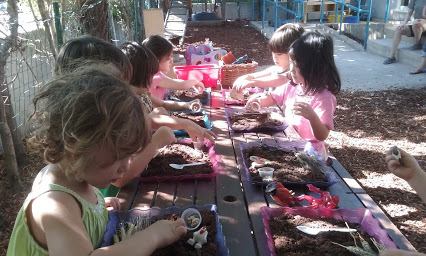 In the story, the red hen not only plants wheat, but harvests it and later turns it into bread! 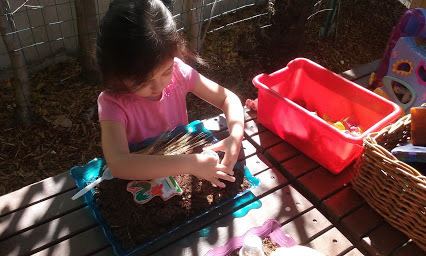 This project involved your little one learning that wheat grows globally in bountiful supply. 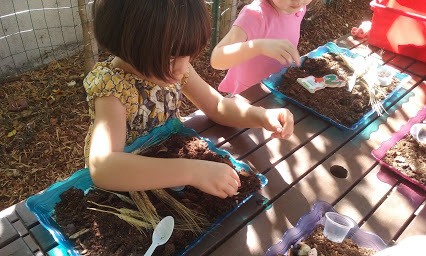 They learned that because it can be harvested in winter and spring, it is utilized abundantly. 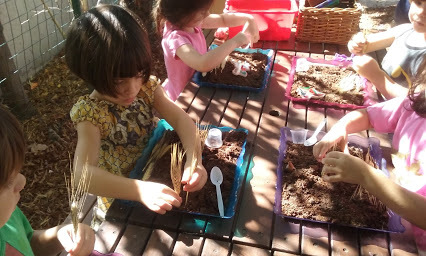 Using hens, stalks of wheat, seeds, and shovels, your little farmer harvested their own wheat…just like the little red hen! 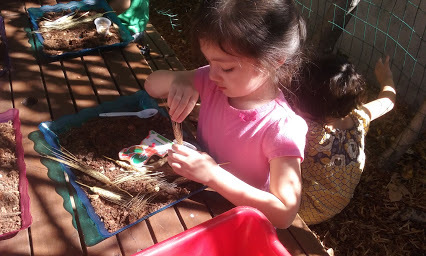 They learned that these crops require constant care and upkeep. 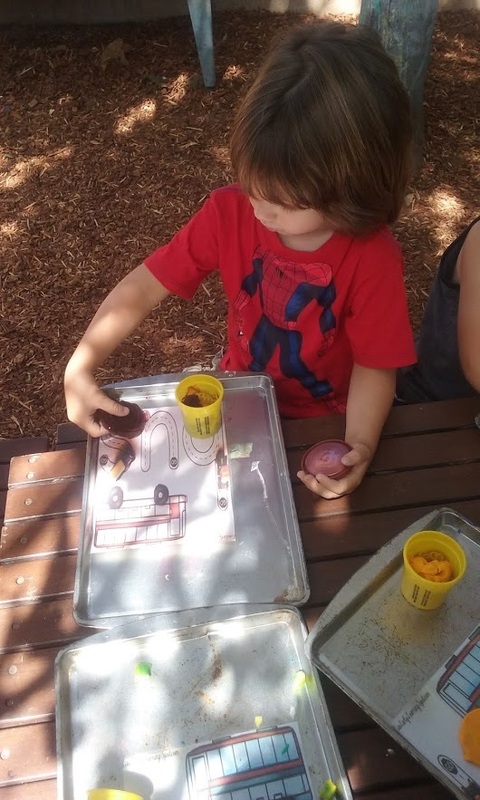 Producing wheat is an intensive process, and your little one learned about the many technological advances that allow all of us to enjoy our bread, cereal, and pasta! 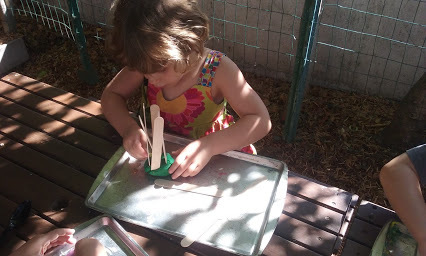 They were introduced to the words “swather” (to cut and bind wheat) and “combine” (a process in which trucks cut and loosen wheat from its stem). 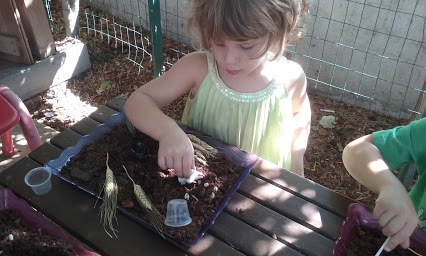 By harvesting their own crops, your little one was able to apply their understanding of new vocabulary related to the Little Red Hen! 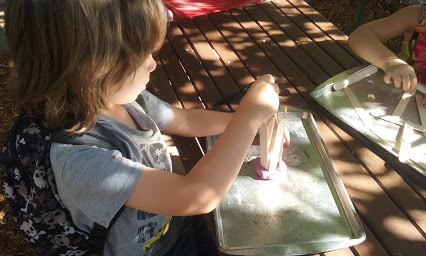 Squishing, rolling, sculpting, molding . 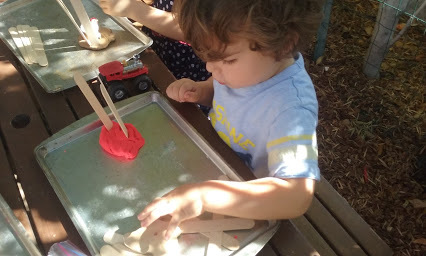 . . young children love to play with playdough. 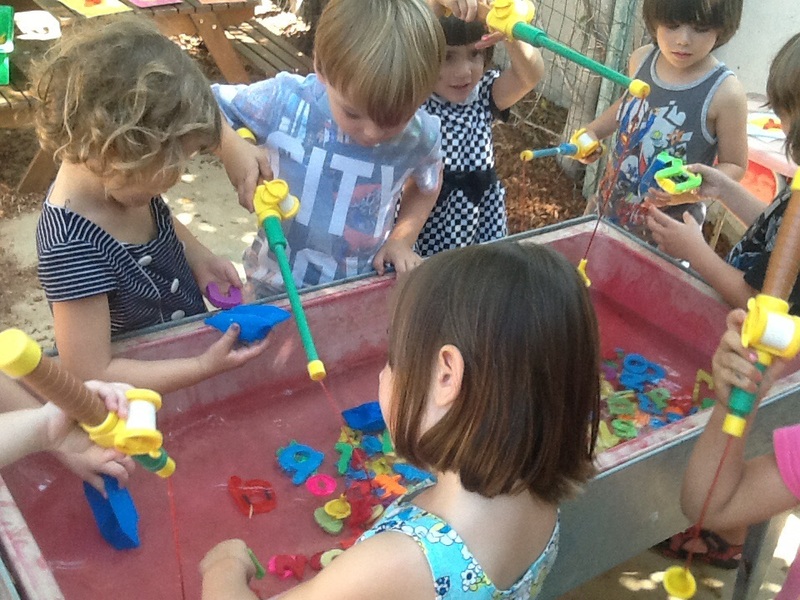 This firm and soft substance holds many benefits for the preschool child. 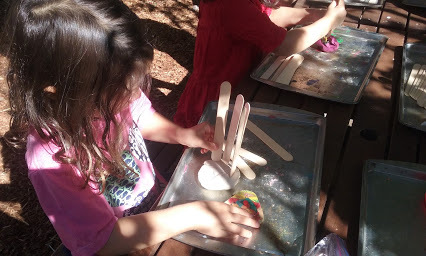 Through it, our students practiced their fine motor and pre-reading skills as they pinched and rolled the dough. 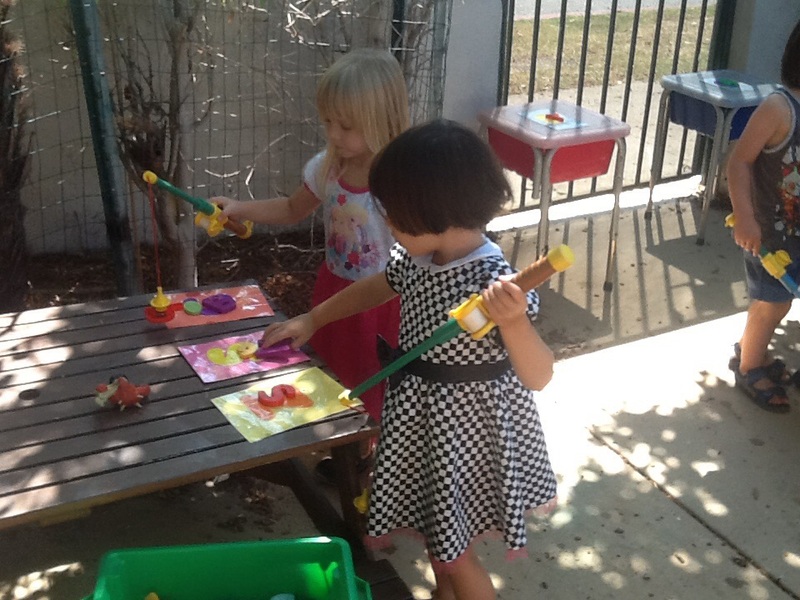 These actions strengthened the small muscles in their hands and helped with letter recognition. 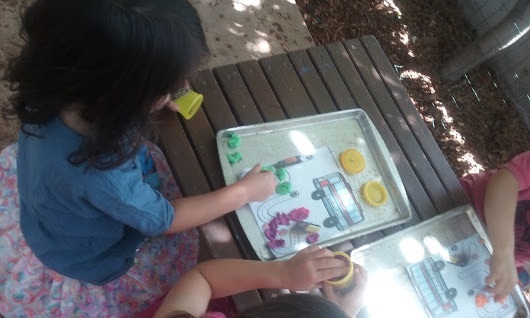 For this activity, we used playdough to spell the word bus. 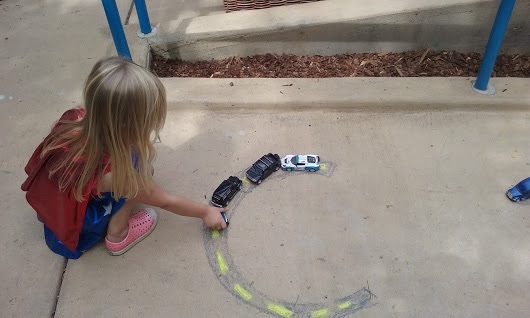 One of our letters for the week was B, so we first talked about the sound B made, and then put ourselves to work to create a B, a U, and an S! 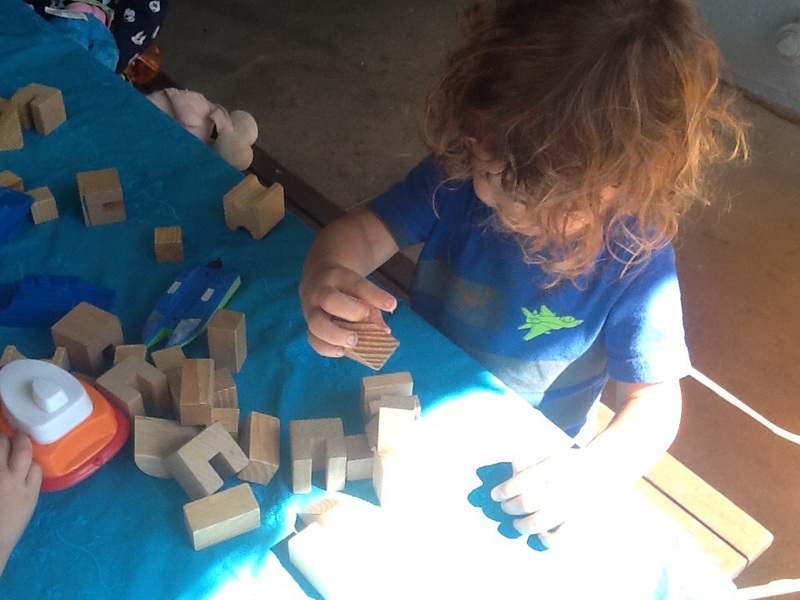 Research has shown us that there are six early literacy skills that are essential for young children to become familiar with in order to be successful readers. 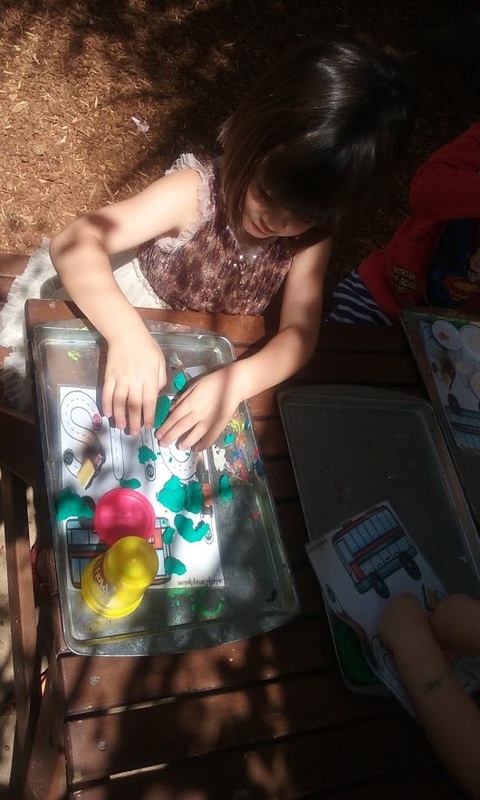 These skills include vocabulary, print motivation, print awareness, letter knowledge, narrative skills, and phonological awareness. 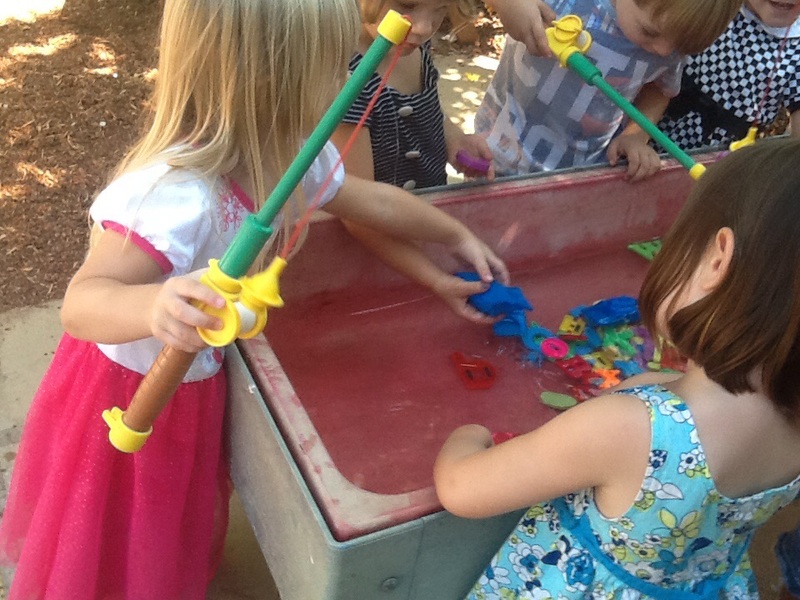 This activity targeted two of these concepts. 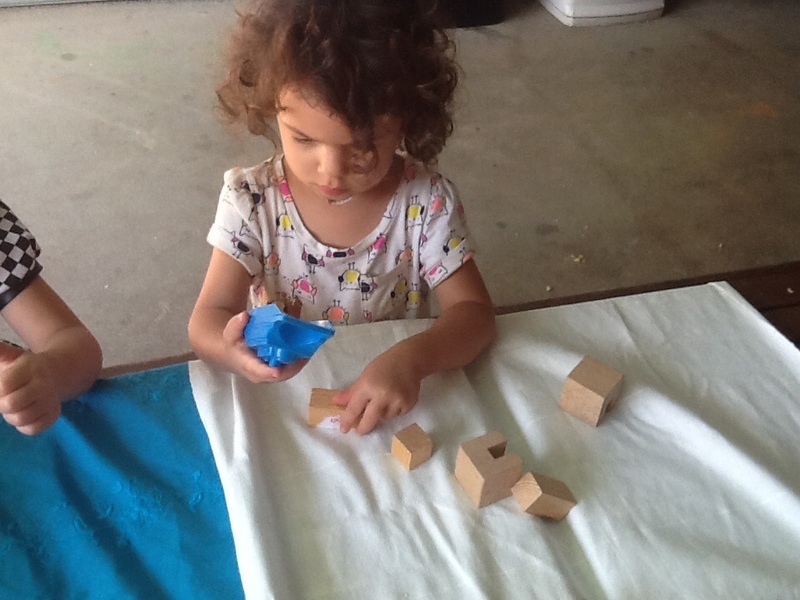 The first, is that of letter knowledge. 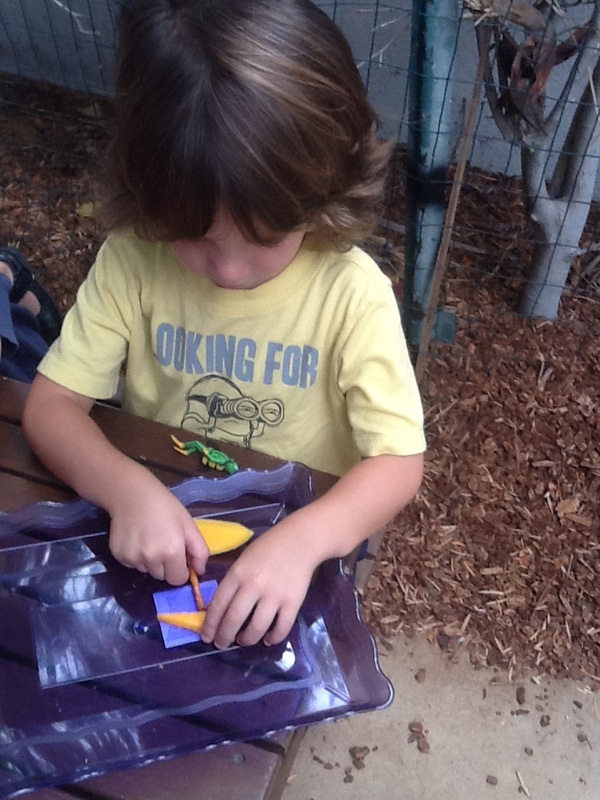 Letter knowledge reflects an awareness that letters are different from each other. 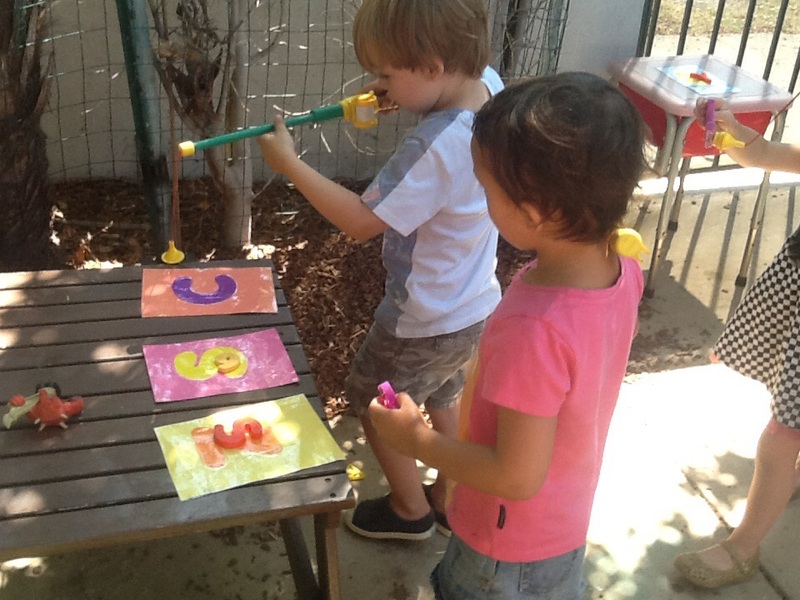 The second, is that of phonological awareness. 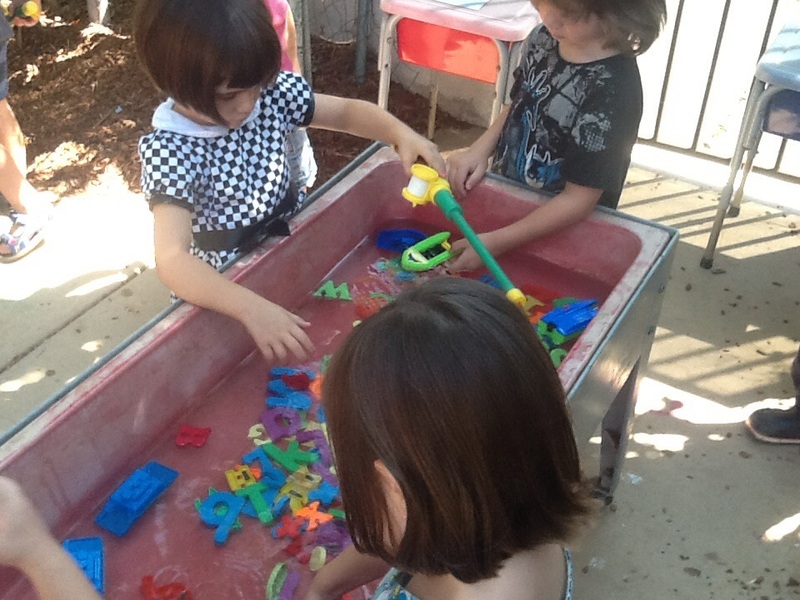 Phonological awareness means that your little one understands that letters make sounds. 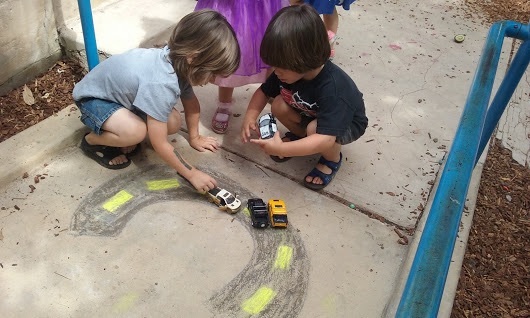 For this activity, we created roads out of yellow and black chalk. 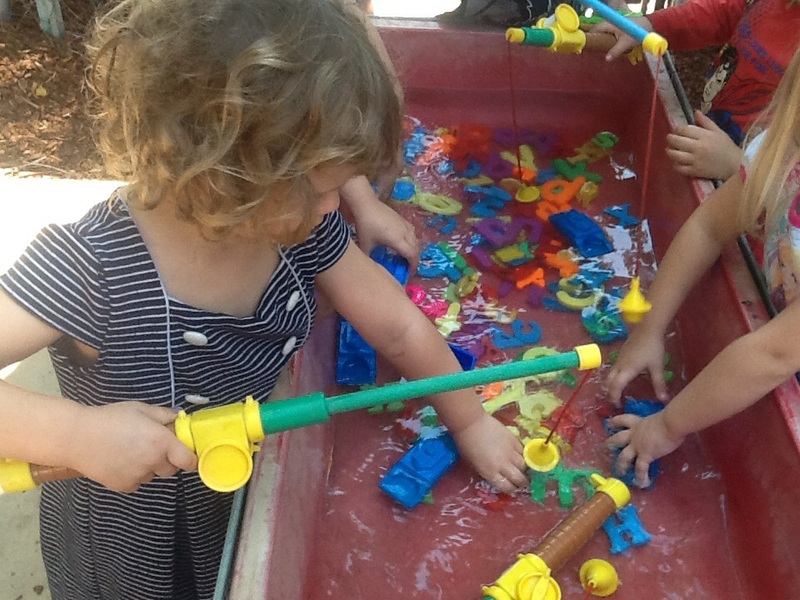 A dock is a structure built along, or at an angle from, a navigable waterway so that vessels may lie alongside to receive or discharge cargo. 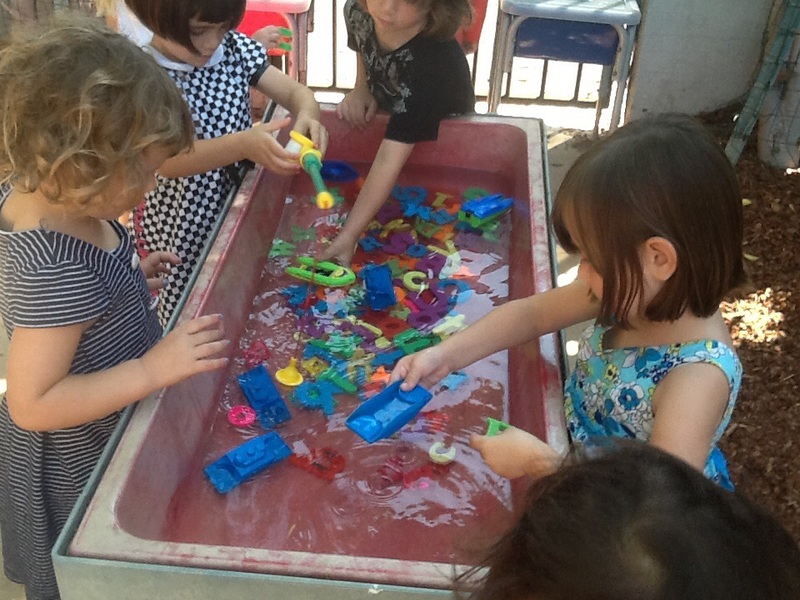 Because we are learning about all things transportation, we built our own docks using blocks as our docks, plastic boats, and blue fabric as our “water”. 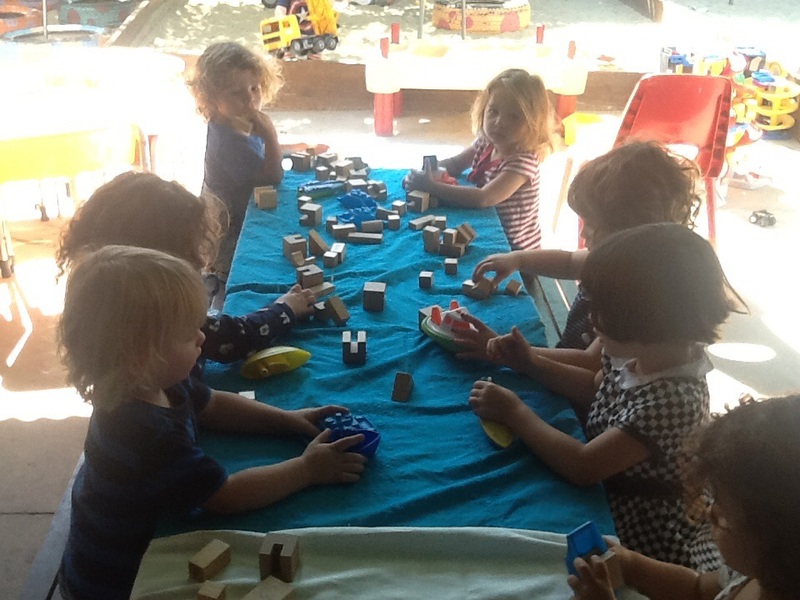 Children learn many concepts through block play. 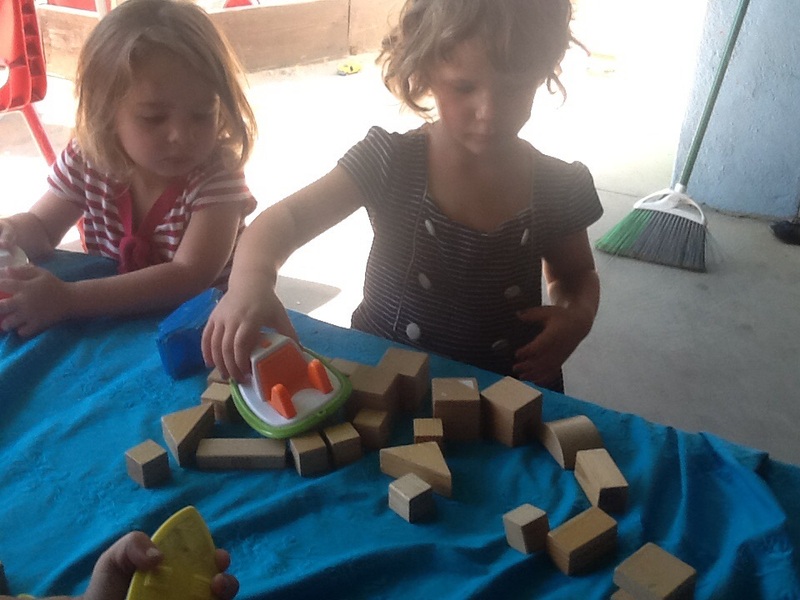 Play with blocks provides an excellent opportunity for relaying concepts that are best understood by “doing”. 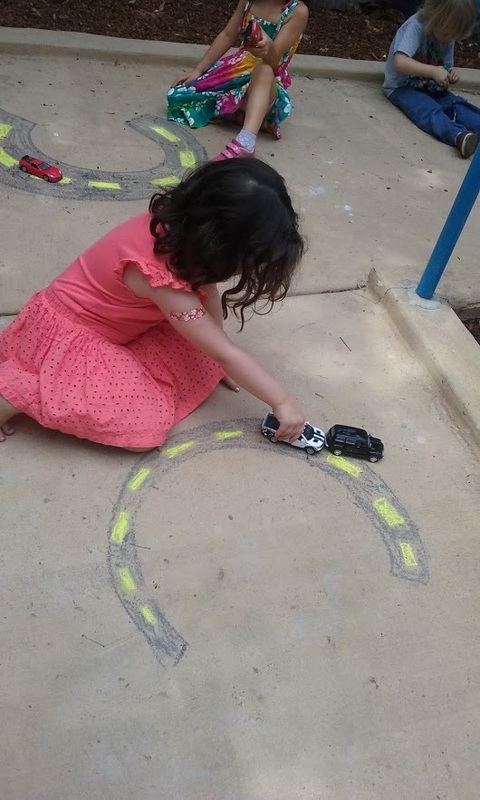 It also plays host to a variety of cognitive skills, such as symbolization and representation, directionality, divergent thinking, and logical reasoning. 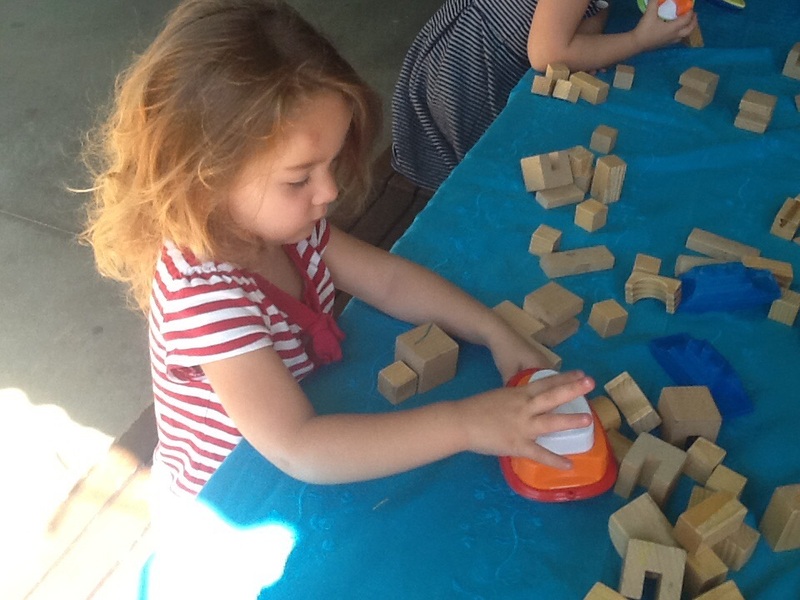 We are having so much fun playing and learning with letters! 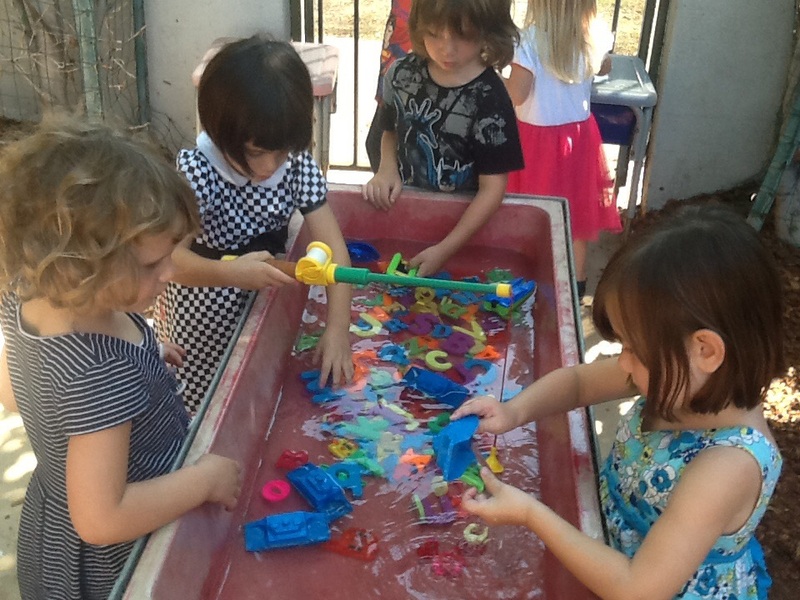 Today we fished for magnetic letters in our water table! 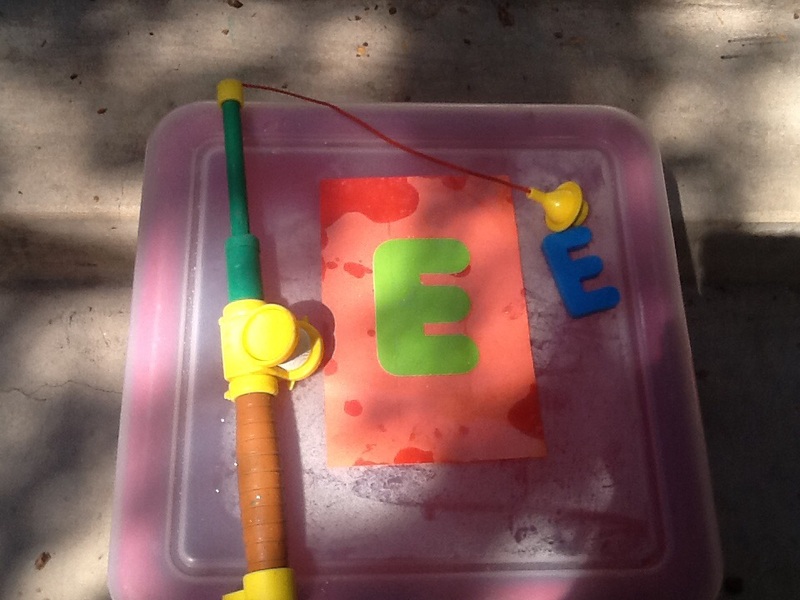 Each child used a fishing pole to catch a letter and transfer it to its matching mat. 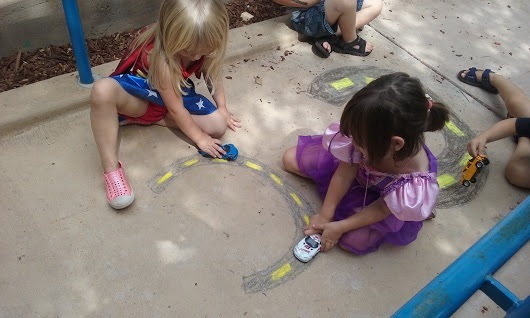 As they caught each letter, they were encouraged to say the name of the letter and/or the letter sound. 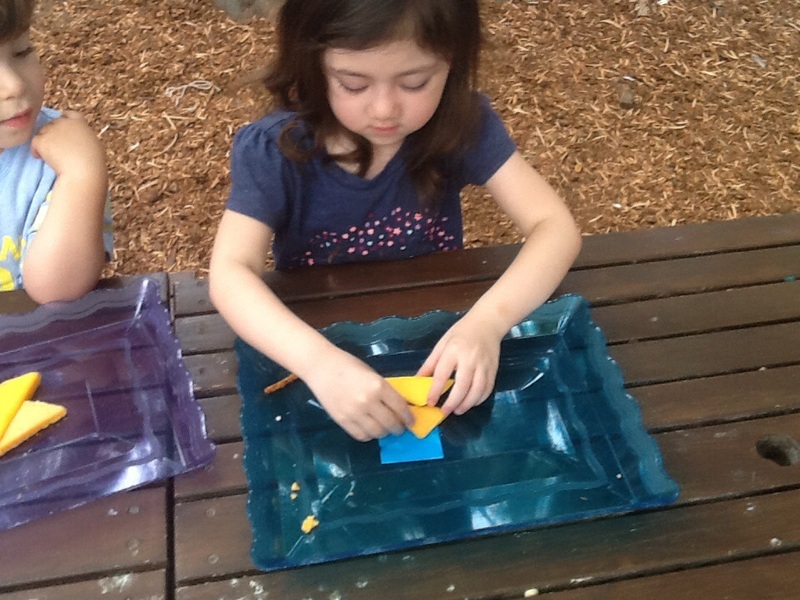 They then placed it on a mat, and continued to catch letters until all of them were gone! 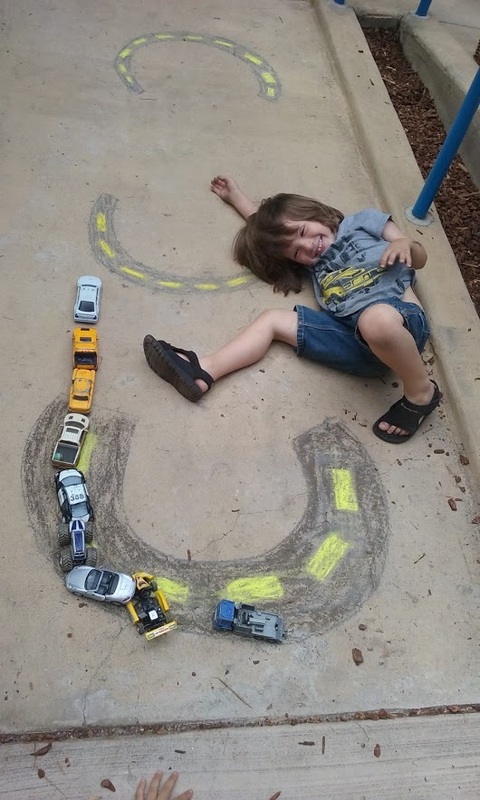 This fun challenge enabled your little one to practice their letter recognition and pre-reading skills! 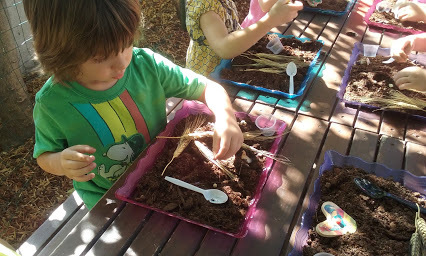 Working with food is not only a fun, engaging activity for children, but one that has been used for years as an important teaching and development tool for all ages. 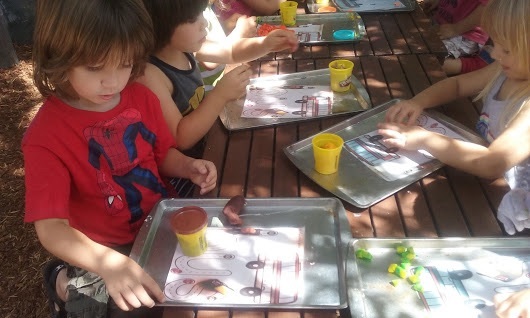 Hands-on cooking activities help children develop pride and confidence in their skills and abilities. 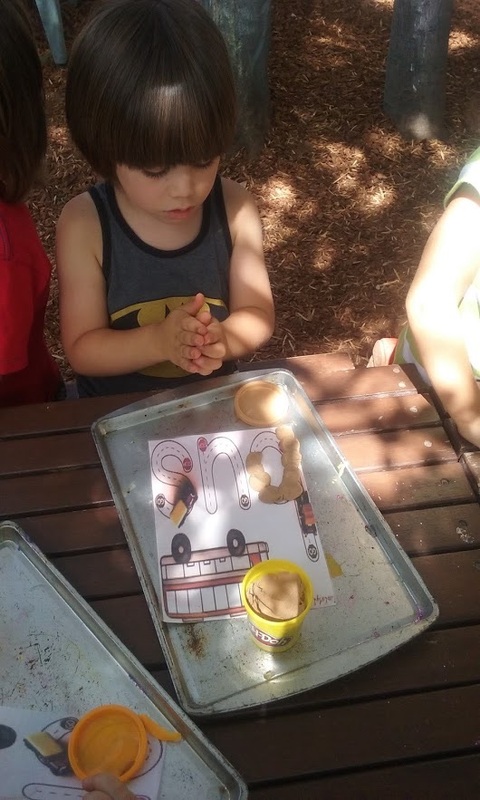 The act of following a recipe can encourage self-direction and independence, while also teaching children to follow directions and use thinking skills to problem solve. 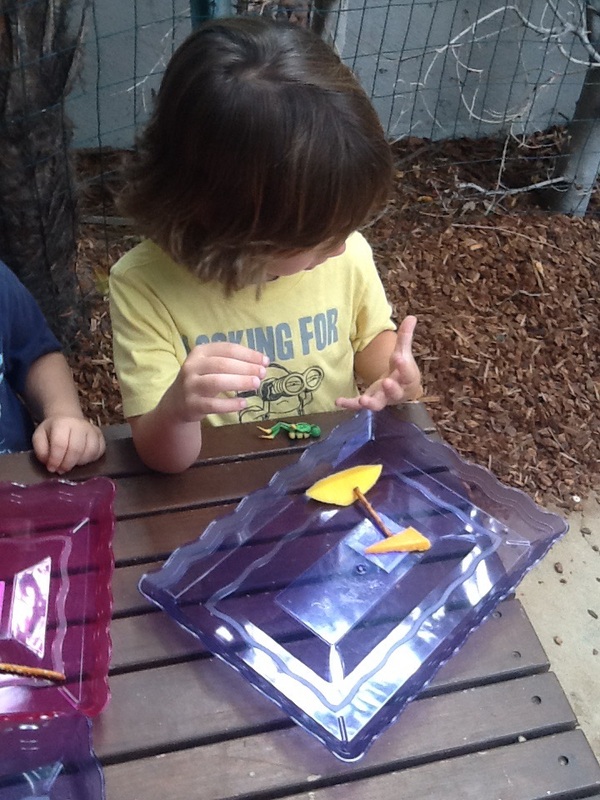 Working with food also integrates physical development. 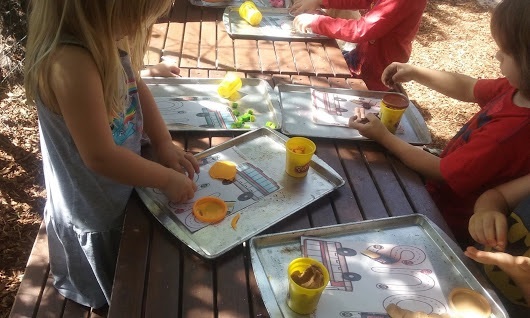 Chopping, squeezing, spreading, and mixing are all cooking skills that help develop a child’s small muscle control and eye-hand coordination. 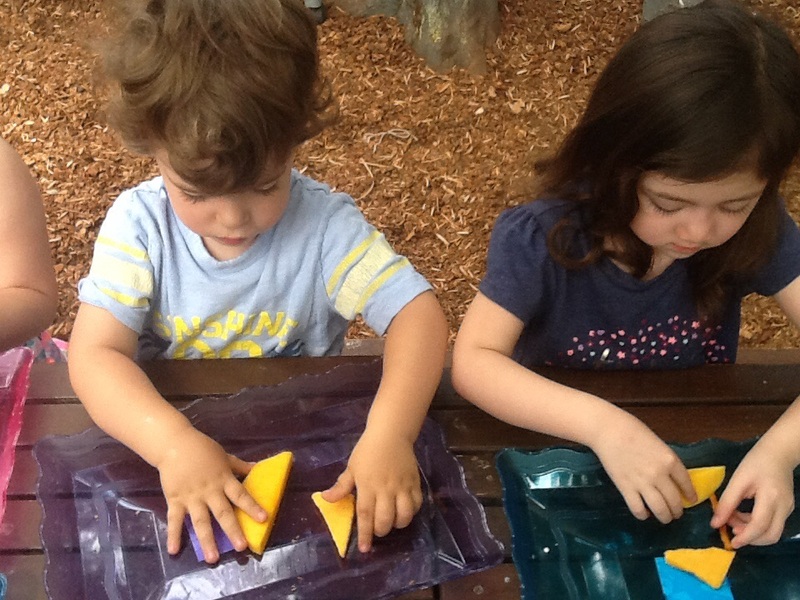 It’s impossible to separate hands-on cooking activities from physical development for young children. 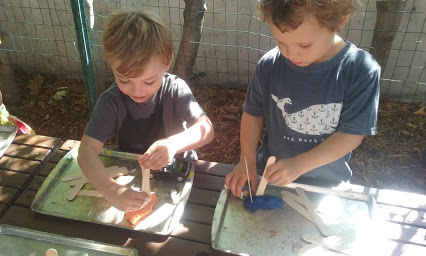 Thirdly, cooking inspires children’s curiosity, thinking, and problem solving, offering new opportunities to make predictions and observations. 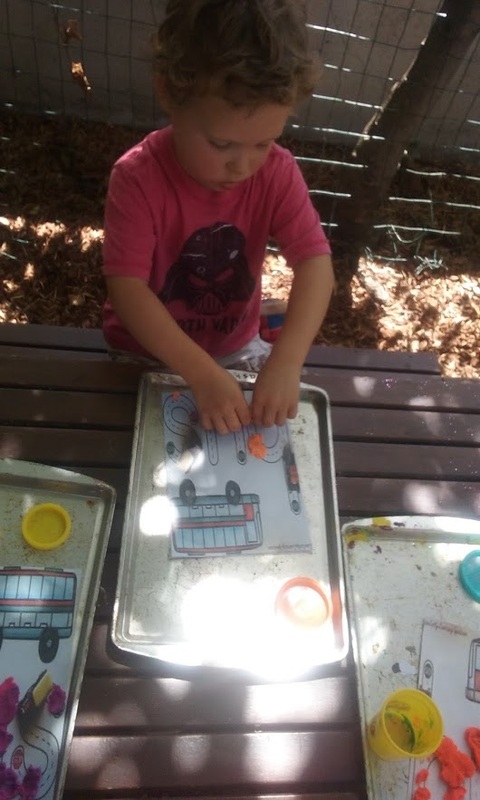 Additionally, cooking offers authentic opportunities for students to understand and apply their knowledge of measuring, one-to-one correspondence, numbers, and counting. 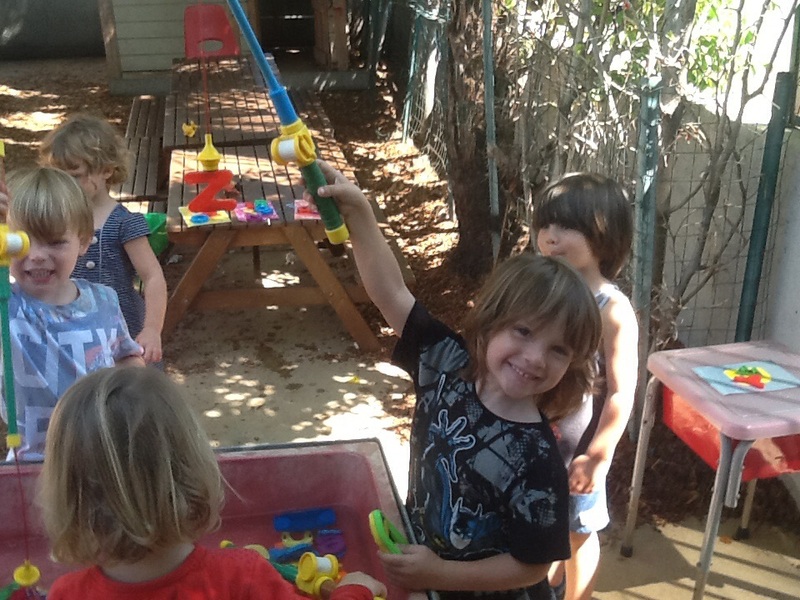 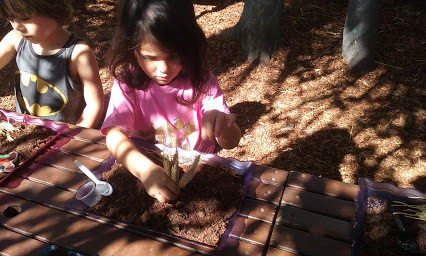 As they follow a recipe, children organize ingredients, follow a sequence, and carry out multiple directions. 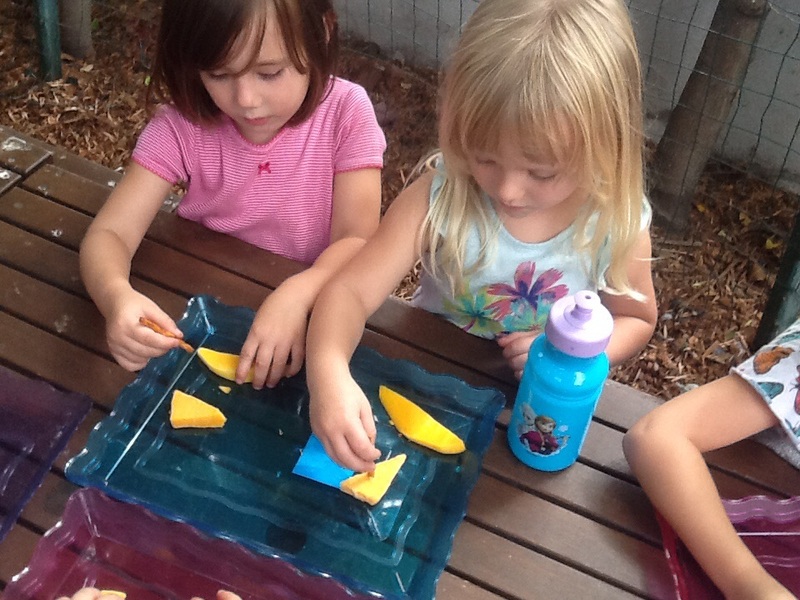 This activity involved your little ones making boats out of mangoes, cheese, and pretzel sticks. 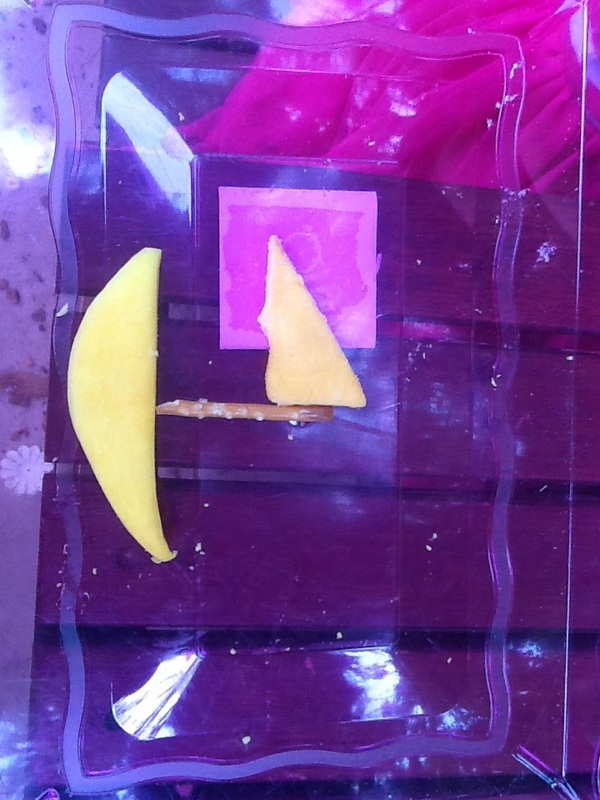 The mango served as the base of the boat, the pretzel was the mast, and the cheese served as a sail! 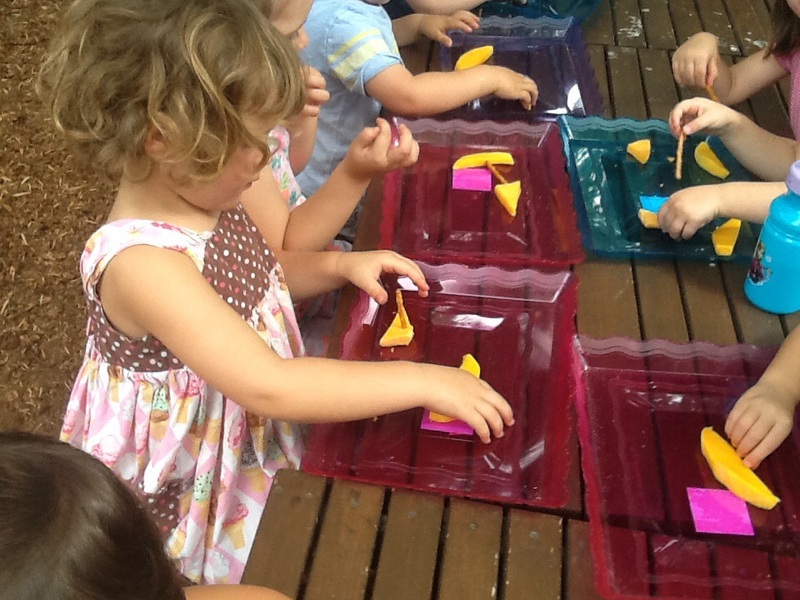 Everyone enjoyed creating and then eating their sailboat snacks!